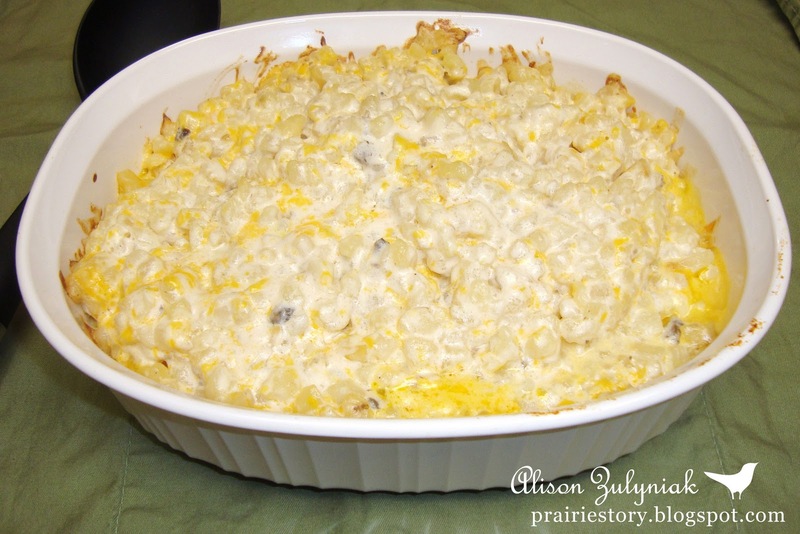 Do you know anyone who doesn't like Hashbrown Casserole? I don't. It's a comfort food, great for family gatherings or any potluck! Often, I'll combine the ingredients together the day before and cook the day of, and even double this recipe. - In a large bowl, mix together soup, sour cream, cheese, and generously season with salt and pepper. - Add in hashbrowns, and place in greased casserole. I've also added French's Fried Onions instead of the chopped onion to give it that onion flavor, but with a crunchy twist. Soooo good!! What ruins this is the potatoes not being thawed before baking the casserole. The potatoes NEVER get done unless they are thawed first. An alternative is to use the fresh shredded ones in the dairy case. Yum - delicious comfort food! Thank you for linking your Hashbrown Casserole to Let's Do Brunch, Alison. The linky is up again for this week so do hope you will come along and join in again!